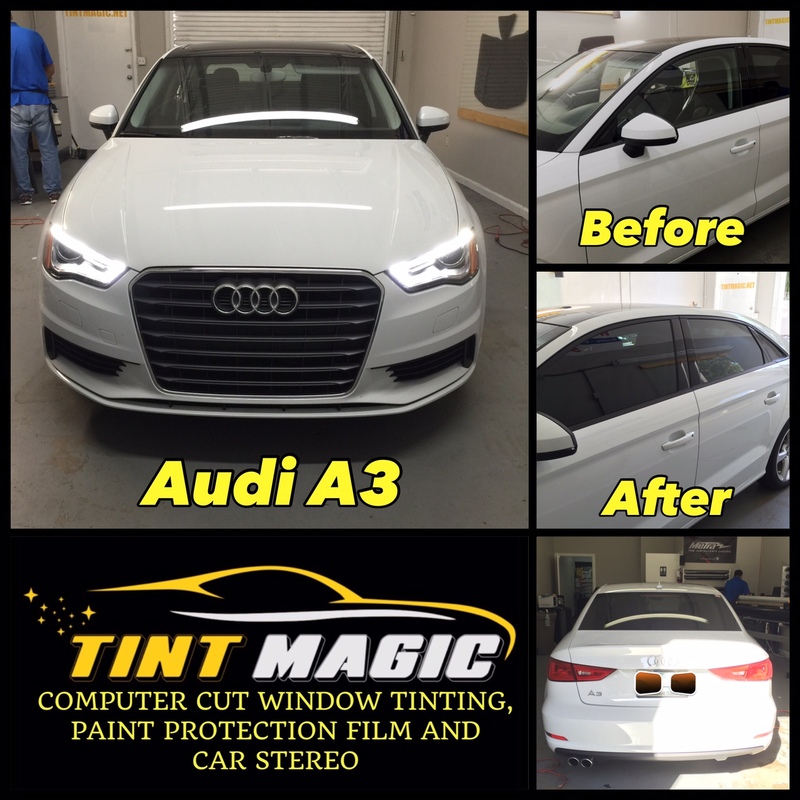 Audi A3 at Tint Magic Window Tinting Coral Springs. Tint Magic Window Tinting only use SunTek window film made in USA and Computer Cut for a perfect fit, call us for a free estimate! (954) 840-7883. Although the cabriolet is nearly 300 pounds heavier than the 2015 A3 2.0 T sedan we tested, the droptop’s chassis is set up more or less the same. We think that fitting the A3 sedan’s Continental ContiSportContact summer tires would do wonders to liven up the droptop driving experience—the four-door stopped 18 feet shorter and pulled a seriously impressive 0.94 g on the skidpad.